HOF: Wayne Walsh Acceptance speech from Hall of Fame inductee Wayne Walsh. Wayne Walsh took the long way round in establishing himself as a top Tiger. Recruited from suburban club Murrumbeena, Walsh worked his way up through the ranks at Richmond, making his senior league debut in 1968. But a lack of opportunities, due to a star-studded Tiger line-up, resulted in him being cleared to rival club South Melbourne at the end of the ’68 season. At South, Walsh quickly turned into a key player, underlining his impressive development by winning Victorian State selection. 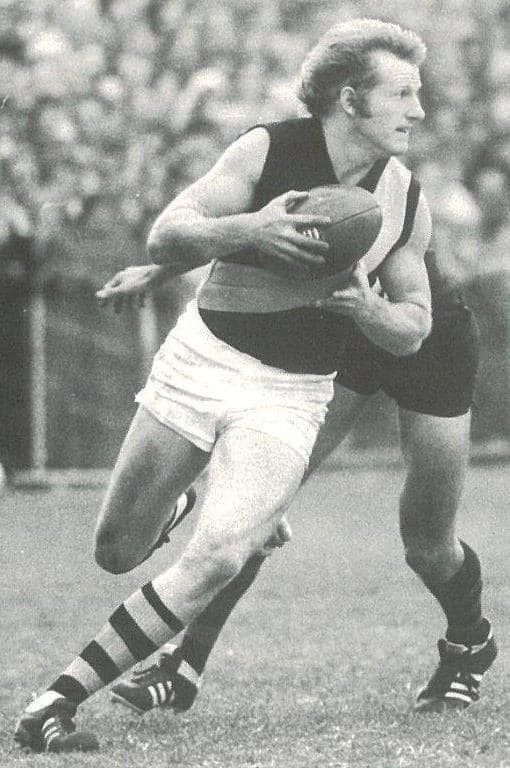 Midway through the 1972 season, however, his time at the Lake Oval turned sour, after a big fall-out with legendary coach Norm Smith, and that led to him being traded back to Richmond before the June 30 clearance deadline which existed back then. For the rest of that season, Walsh provided the Tigers with excellent value in his role as a wingman. He played 13 games for only one loss – unfortunately, to Carlton in the Grand Final. The following year, he continued to display strong form on a wing – his pace, marking ability, long kicking, aggression, determination and toughness combining to make him a major asset for the Richmond side. Walsh thrived on the pressure-cooker atmosphere of big-occasion matches. He was one of the Tigers’ best in the 1973 Grand Final, when they gained sweet revenge against the Blues, gathering 19 quality possessions and providing an abundance of dash for the team from his wing. Then, in 1974, when Richmond made it back-to-back flags, overpowering North Melbourne in the Grand Final, Walsh further enhanced his reputation as a big-occasion performer, with another first-class performance, winning plenty of ball, and pumping it long into the forward line, in trademark style. He retired from league football at the end of the 1978 season, having extracted the maximum out of his ability, and making a significant contribution to the Tigers’ success in the 70s, along the way. Then, after a year away from Tigerland, he returned as coach of the under 19s, guiding them to a premiership in his first season in charge, in 1980.